Chuchel is a hairy, angry, but loveable speck. An acorn shell sits upside-down on his scribbly head while grouchy, light-orange lips frame a mouth that can enlarge to any size. He has the temperament of a toddler and is therefore a creature of primal passions: he loves to laugh and sing out of tune, will explore new surroundings with his tongue, and descends into a strop if proceedings do not go his way. But, most of all, he wants to eat a tasty cherry. His devastating flaw is that he will stop at nothing to do so. Kukel plays the rival in this double act. Essentially a pink bean with rodent features, Kukel is inferior to Chuchel in size and strength, but smarter, quicker, and always up for mischief. He stops his counterpart from getting to the cherry, not necessarily because he wants it for himself, but because that is his role. If Chuchel is Wile E. Coyote then Kukel is the Road Runner – as if to make the connection explicit, at one point, a tonne weight falls out of the sky and squashes Chuchel after he foolishly presses a red button. Developers Amanita Design – known for Machinarium, Botanicula, and the Samorost series – get 30 short episodes out of this classic comedy routine. 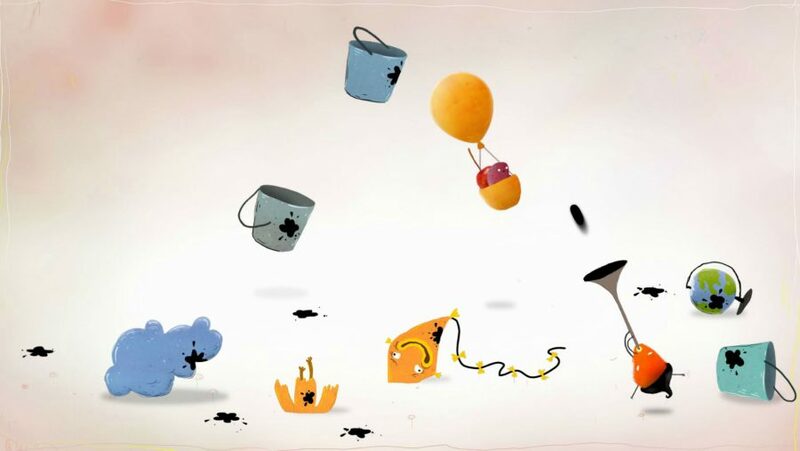 Many of them begin and end the same way: Kukel runs away from Chuchel with his cherry, Kukel then loses the cherry, which leaves Chuchel to get it back – often to his detriment. Your purpose in all of this is to match Chuchel’s childlike curiosity by clicking around the screen to see what trouble you can get him into. It is not so much a puzzle game as it is a slapstick comedy revealed one mouse click at a time. This is Tom and Jerry for the touchscreen generation. A supporting cast of goof-faced blobs and everyday objects tease and pulverise Chuchel as you send him after the cherry. Dentures with eyes gnash at him from inside a glass, a cruel plate of jelly dangles the prized fruit just out of reach, while a twist of irony sees a much larger cherry chomp Chuchel in two. Yes, there is tame violence in places – the likes of which UK censors would struggle to approve for young children – but it is in good taste; the kind of playful transgression that appeals to all ages. The same goes for the cruder moments of absurdity and potty humour. This includes a moment when Chuchel drinks too much water and pees on other characters, another when he recklessly cracks open the shell of a sentient egg by repeatedly smashing it with a spoon, and a psychedelic trip experienced after licking a mushroom. The jokes come thick and fast, but it is not always the visuals that have you belly laugh. Instead, it is often the silly sounds that bring it all to life. In fact, the range of boings, zips, and plops are the game’s standout feature, hands down – though, that onomatopoeia does not do it justice, as the bizarre library of cartoon sounds defies such easy translation. Even the strange squelchthat sounds when you bring up the pause menu delighted me enough to enter and exit it several times in a row for no other reason than to indulge my childish amusement. I just wanted to hear it wriggle around in my ears once again. 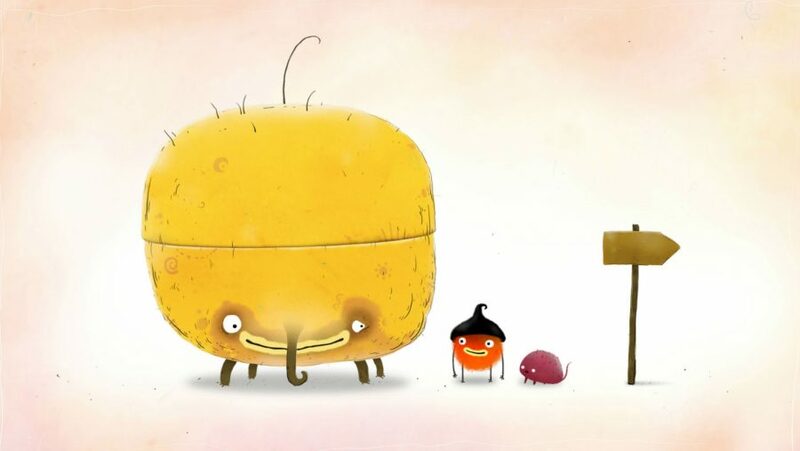 That is what Chuchel does best: it brings out the kid in you, encouraging you to prod at new sights and creatures, just to see what will happen. This is to be expected from Amanita Design, as their wordless adventures have always projected wonder from the screen, whether it is a journey through a scrap heap city or a musical romp around a leafy habitat. What is new with Chuchel is the format. Amanita’s games have always had jokes, but not at this frequency, and certainly not as the basis of every interaction. Well, almost – the gags are broken up occasionally with episodes that recreate classic arcade games. Space Invaders, Pac-Man, and Tetris all feature, as well as modern classics Angry Birds and Flappy Bird. Rather than feeling cheap, these arcade game reinterpretations provide a welcome change in pace and challenge, and are refashioned with Amanita’s mastery of comedic sound, which the world is undoubtedly better off for. Videogame comedy has come a long way in recent years but it is epitomised by the hit-or-miss pratfalls of games such as Goat Simulator, which repurpose the incidental hilarity of ragdoll physics and graphical glitches as deliberate jokes. Jazzpunk is a more concerted effort to refit traditional gags for a first-person game, taking directly and learning from screwball comedy, spoofs, and Looney Tunes to create its magnificent punchlines. 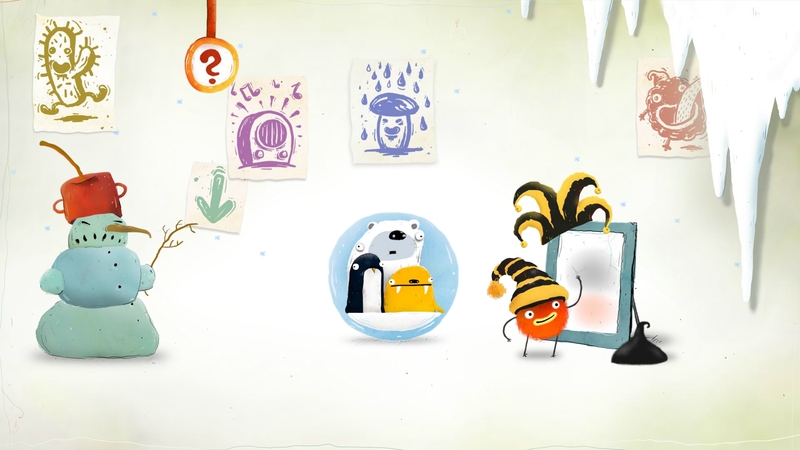 Chuchel is another game born from that approach as it hearkens back to the comedy greats of the 20th century. It reuses and, in many cases, expands on classic jokes to bolster its own running gag. The result is one of the most confident and genuinely funny videogames you can play. The final stroke of brilliance is that the episodic format means you can always go back to your favourite part and laugh at it all over again.